Cloning is a convenient mechanism to enable reuse across and within software artifacts. On the downside, it is also a practice related to severe long-term maintainability impediments, thus generating a need to identify clones in affected artifacts. A large variety of clone detection techniques have been proposed for programming and modeling languages; yet no specific ones have emerged for model transformation languages. In this paper, we explore clone detection for rule-based model transformation languages, including graph-based ones, such as Henshin, and hybrid ones, such as ATL. We introduce use cases for such techniques in the context of constructive and analytical quality assurance, and a set of key requirements we derived from these use cases. To address these requirements, we describe our customization of existing model clone detection techniques: We consider eScan, an a-priori-based technique, ConQAT, a heuristic technique, and a hybrid technique based on a combination of eScan and ConQAT. We compare these techniques in a comprehensive experimental evaluation, based on three realistic Henshin rule sets, and a comprehensive body of examples from the ATL transformation zoo. Our results indicate that our customization of ConQAT enables the efficient detection of the considered clones, without sacrificing accuracy. 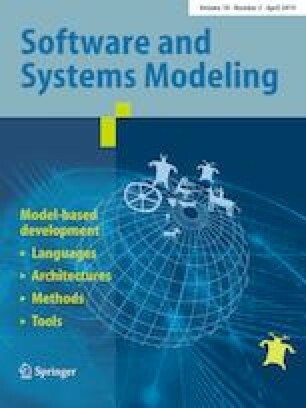 With our contributions, we present the first evidence on the usefulness of model clone detection for the quality assurance of model transformations and pave the way for future research efforts at the intersection of model clone detection and model transformation. We thank the reviewers for their valuable and constructive suggestions. This research was partially supported by the research project Visual Privacy Management in User Centric Open Environments (supported by the EUs Horizon 2020 programme, Proposal Number: 653642).